This compendium is based on the subject’s book as well as Donn Morrison’s lecture slides. SystemVerilog is a Hardware description and verification language (HDVL). It has an extensive set of enhancements to IEEE 1364 Verilog-2001 standards. It uses features inherited from Verilog HDL, VHDL, C, C++. Verilog is strict about usage of wire & register data types. Variable types are 4-state (0,1,X,Z). 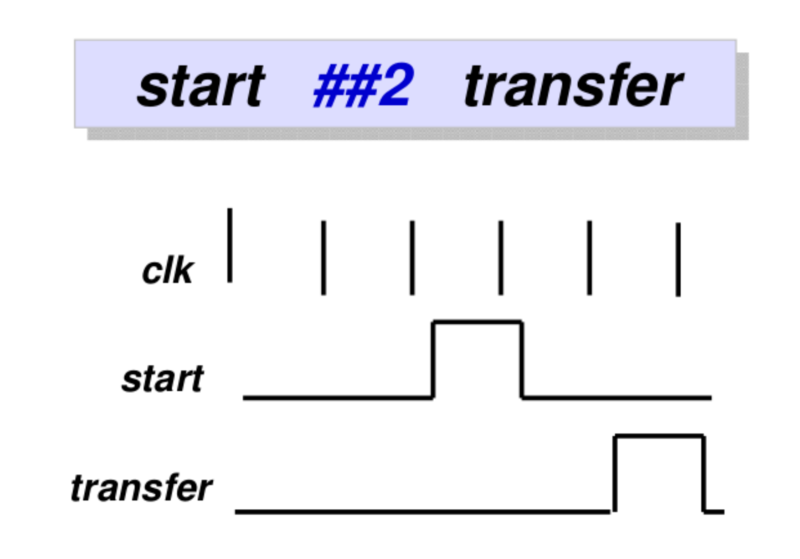 SystemVerilog’s logic data type can be used so no need to worry about register & wire. It also has 2-state data type added (0,1), 2-state variable that can be used in testbenches, where X, Z not required and 2-state variable in RTL model that may enable simulators to be more efficient. Memories in Verilog are static in nature, while SystemVerilog’s memories are dynamic. They are also allocated at runtime. C++ is unrelated to Verilog and require interface to interact with Verilog. SystemVerilog is a superset of Verilog as well as being a RTL/verification language, Assertion language, Constraint language and Code coverage language. SystemVerilog can do random generation of stimuli and random setting of parameters to reach hard-to-reach corner cases. This makes a shift from direct to random debugging. Why allow randomisation? Direct debugging allows us to detect expected bugs and it is time consuming. By adding randomisation we will detect unexpected bugs (corner cases) while drastically reduces effort. Constrained randomisation does not only improves the result, but also speed up bug finding process so more interesting cases can be achieved within the constrained boundary. A positive statement about a property. Should the statement be evaluated as false, it indicates an error. Since the property only states the behaviour, it is often used to ensure that the design implementation of the behaviour matches the assertion. Example shows that when FRAME_ asserted, LDP_ must be deasserted. SVA increase productivity of design/debug/simulate/cover loop compared to using testbenches in traditional HDLs. It also makes it easier to code compared to plain Verilog or SystemVerilog. It will shorten time to deveop, improve observability and provide temporal domain functional coverage. If test failed and no assertions fired, you need more assertions! 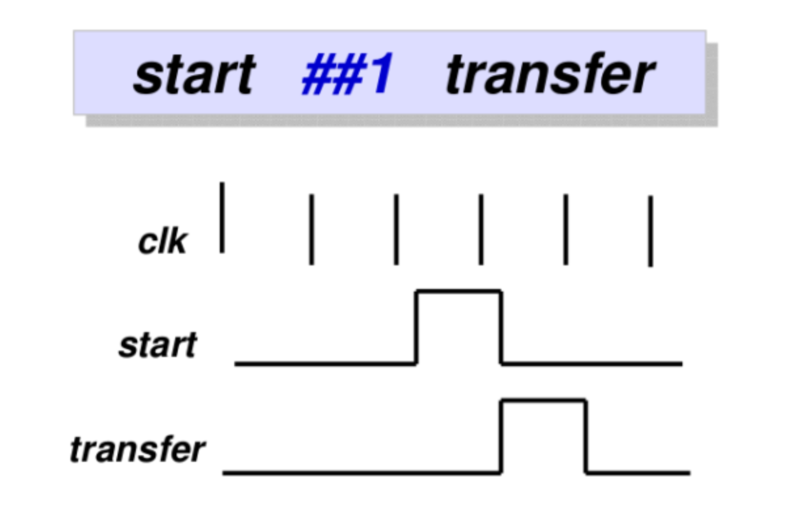 Temporal delay ##n (where n is an integer). Overlapping sequence implication operator uses |->. Non-overlapping sequence implication operator uses |=>. Arbiter is a way to automatomate the selection of what resource should get priority. There are three types of assertions supported by SVA; Immediate assertions, Concurrent assertions and Deferred assertions. Immediate assertions is Simple non-temporal domain, executed like statements in a procedural block. It can be interpreted like 'if' conditionals and can be specified only in procedures. It is used to check to see if a conditional expression holds. At posedge clk, if cStart is high, ‘req’ should be high in the same clock and ‘gnt’ becomes high 2 clocks later. sr1 states that if req is true this clock cycle, then gnt must be true two clock cycles later. pr1 trigger sr1 at clock event. reqGnt just label the property, and is optional. In this example, req, gnt and cStart are sampled at the same sample edge. In this example that is at a rising clock edge. Last updated: Tue, 28 Nov 2017 14:10:35 +0100 .